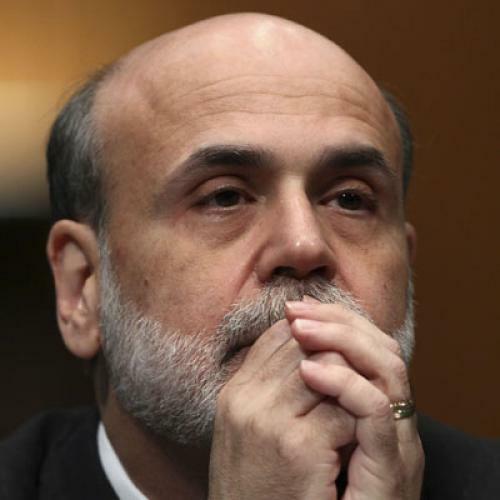 Bernanke Testifies: Is the Chairman Risking the Fed's Independence? Conservatives like to quip that, for the average member of Congress, spending other people’s money is the best part of the job. If that’s true, then grilling the Fed chairman after a financial crisis has to rank a close second. The members of the Senate Banking Committee didn't hold back when Ben Bernanke made his case for a second term on Thursday. Kentucky Senator Jim Bunning worked himself into a sputtering rage reading from transcripts of old Bernanke testimony, including one from 2005 in which the chairman deemed the risks in the banking system to be "well-managed and well-controlled." (Bunning later labeled Bernanke “the definition of moral hazard.”) His only somewhat less exercised South Carolina colleague, Jim DeMint, chimed in with some greatest hits of his own, noting that Bernanke had pronounced the subprime problem “contained” back in 2007 and that Bernanke had professed confidence in the financial position of the biggest banks as late as 2008. The reality is that Bernanke will almost certainly win confirmation to a second term when the Senate votes later this month or early next year. The question is how closely the Fed will resemble its current self by the end of his tenure there. Thursday’s hearing shed a little light on where things are headed. Bernanke is basically fighting a four-front battle: over consumer regulation, the power to regulate financial institutions (including “too big to fail” institutions that pose a “systemic risk”), over congressional oversight of the Fed, and the Fed’s regional bank structure. Bernanke wants to either preserve the status quo or, in the case of systemic risk, expand the Fed’s authority. Many in Congress want to carve up his territory. The first two fights are the easiest to game out. On consumer regulation, very few people outside the banking industry and the Fed itself, which has a lot of power to regulate consumer financial products, think it’s been a success in this regard. For that matter, even Bernanke himself conceded failure, confessing to Senator Evan Bayh that "we were slow on some aspects of consumer protection." His only defense was half-hearted at best--a single, perfunctory comment claiming to have “comprehensively overhauled” the Fed’s consumer protection activities in recent years. Bottom line: the writing is on the wall here, and Bernanke appears to have read it (even if he’d never admit it publicly). But, for all their passion on the issue, this is where Bernanke’s opponents seem to sense that the fix is in. Bernanke argues that the information the Fed gleans from regulating banks is critical to one of its central functions: acting as a lender of last resort amid financial turmoil. In countries where the Fed’s counterparts have lost this authority, Bernanke claimed, “[t]he inability to have complete information greatly hampered the function of [their] central banks” during the recent crisis. He’s saying, in effect, that you need to know what’s going on inside banks to know how to save them. Whatever their skepticism, it’s hard to believe any Senator wants to go down in history as the one who tied the Fed’s hand during a financial meltdown. The real question isn’t whether the Fed will keep regulating consumer products (it almost certainly won’t) or keep scrubbing the balance sheets of financial institutions (it almost certainly will), but how independent it will be once all the dust clears. Which brings us to the other two issues looming over Bernanke’s testimony. First is the now-famous Ron Paul amendment in the House, which would submit the Fed’s monetary policy decisions to regular scrutiny by Congress’s auditing arm. Then there’s Chris Dodd’s proposal to shake up the boards of the Fed’s twelve regional banks. As it stands, local banks get to nominate two-thirds of each regional bank’s nine-member board. Dodd proposes that the Fed’s mother ship in Washington appoint those directors instead, and that the White House name the chairman. In his testimony, Bernanke suggested that the two proposals were similar in spirit, in that both threaten the Fed’s autonomy. Paul’s audit idea would expose the Fed’s interest-rate setting to “short-term political pressure,” he brooded; reforming the regional bank boards would replace a “Main Street perspective” with a “Washington perspective.” In fact, the two proposals couldn’t be more different in this regard. The Paul idea really would undermine the Fed’s mission. After all, the whole reason for an independent central bank is that fighting inflation is painful in the short-run, but beneficial in the long-run. On the other hand, politicians are chronically bad at making short-term sacrifices for long-term payoffs. Allowing Congress to second-guess interest-rate decisions would be self-defeating. Which is why it was so disappointing to watch Bernanke dig in on this issue. The Paul amendment has a real chance of passing Congress. If Bernanke wants to stop it, he needs to come off as someone genuinely concerned about the Fed’s independence--which I believe he is--rather than as a chairman who reflexively opposes any change to the status quo. But to do that, he needs to honestly acknowledge the merits of Dodd’s board-reform proposal, and I saw no evidence of that on Thursday. However justified it may have seemed from the inside, it was a disservice to the institution he runs. P.S. : I haven't seen a complete transcript, but the Journal's liveblog provides a pretty comprehensive summary.